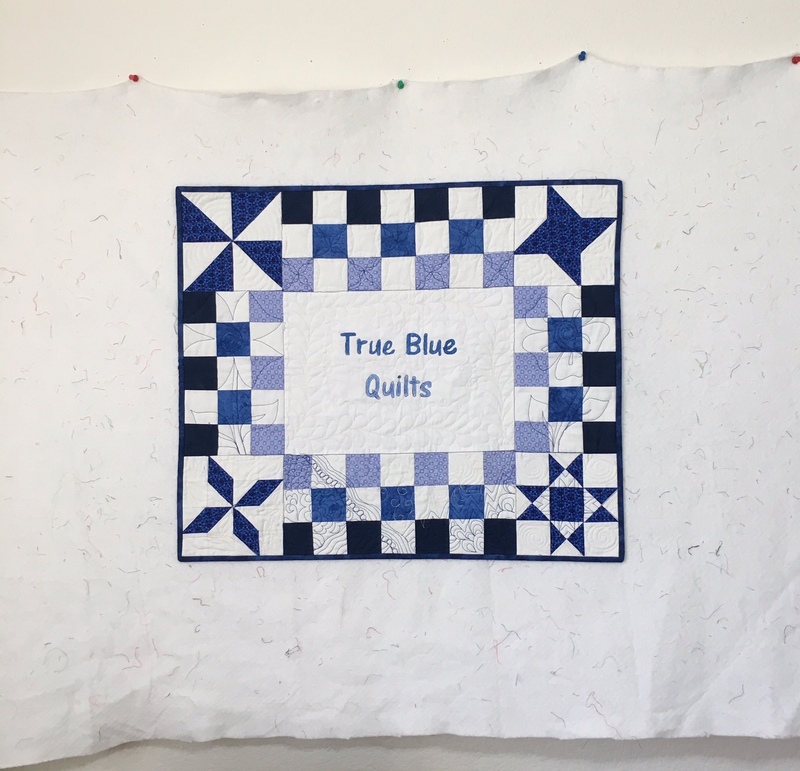 Thread is the foundation of our craft, so it tops my list of quilting supplies. I piece with a neutral grey or tan thread. Aurifil is my go-to brand of thread since it leaves behind less lint. Which reminds me to share a tip – your machine loves to have the bobbin case cleaned! I have learned to love my trusty seam ripper. Things don’t have to be perfect, but some mistakes just can’t be ignored. I keep a seam ripper handy, use it occasionally and try to focus on the good parts. 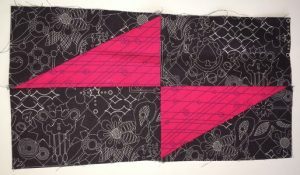 Did you see my demonstration of using a rotary cutter as a seam ripper? Watch it here. I keep a pretty pair of Dovo scissors next to my machine. I know, you may be used to using the thread cutter that is attached to the side of your sewing machine, and I do have that feature, but I have never built the habit of using it. I just grab my trusty snips when it’s time to trim dogear corners or cut apart the blocks that I have chain pieced. Pin cushions are definitely on the list of top quilting tools. There is such a variety that many people collect them. While I do have some decorative pin cushions, I keep a magnetic pin holder next to my sewing machine. It’s very efficient to drop pins onto the magnetic holder while I am sewing and it reduces the number of pins on the floor! I keep my bobbins in a plastic holder. If they are partially full, this holder keeps them contained. It’s no fun to see that bobbin fall to the floor and roll away. 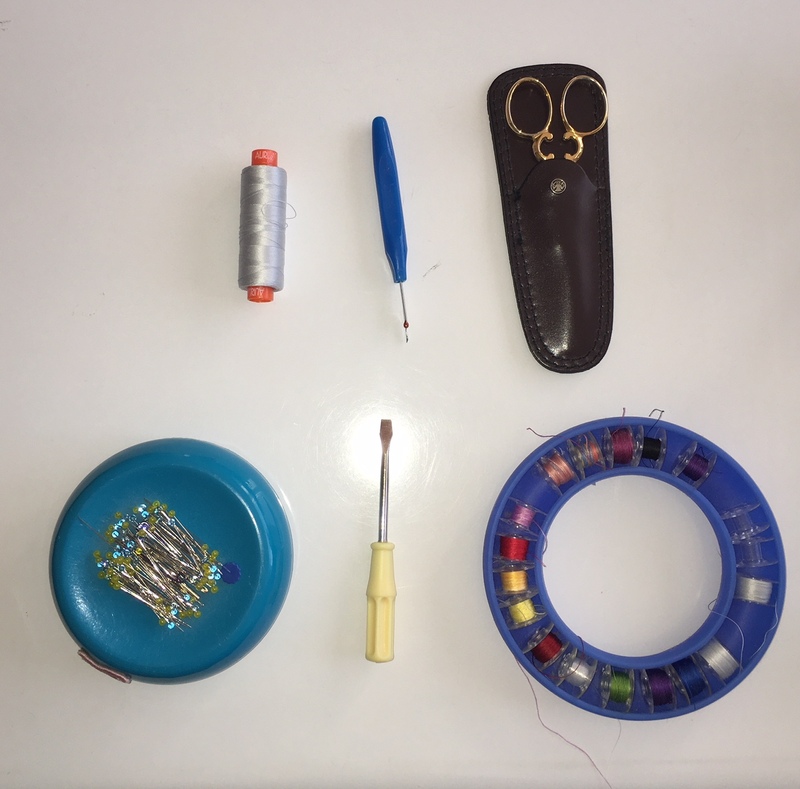 Watch my video explaining all these tools and get some additional tips on loading bobbins. Another one of the important quilting tools is a design wall, a place to hang blocks as you piece the rows together or layout the final quilt. My design wall is very low-tech, simply a piece of batting that has been hung on the wall with push pins. You can buy a portable design wall or make your own with foam boards, but I used what was on hand and it does the job. 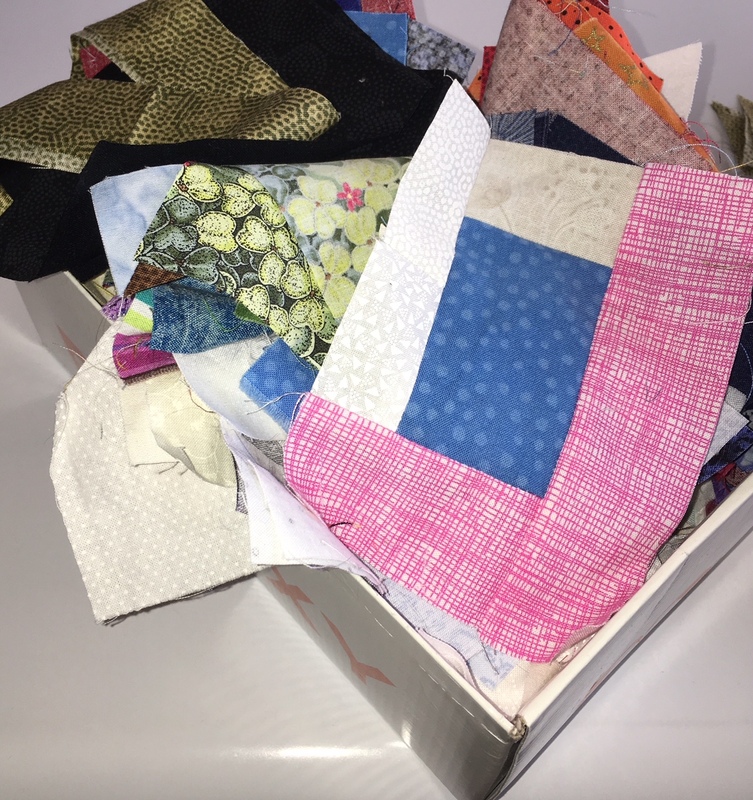 Why is it so hard for many of us quilters to throw away scraps? I keep small pieces and strips in a box near my machine and I use them as “leader-enders.” (Bonnie Hunter has a full explanation) I have recently been using these scraps to make random log cabin blocks. Who knows how they will end up – maybe a doggie bed for the local shelter or a wild kids quilt? I love to journal, and I know that doodling helps build my free motion quilting skills. 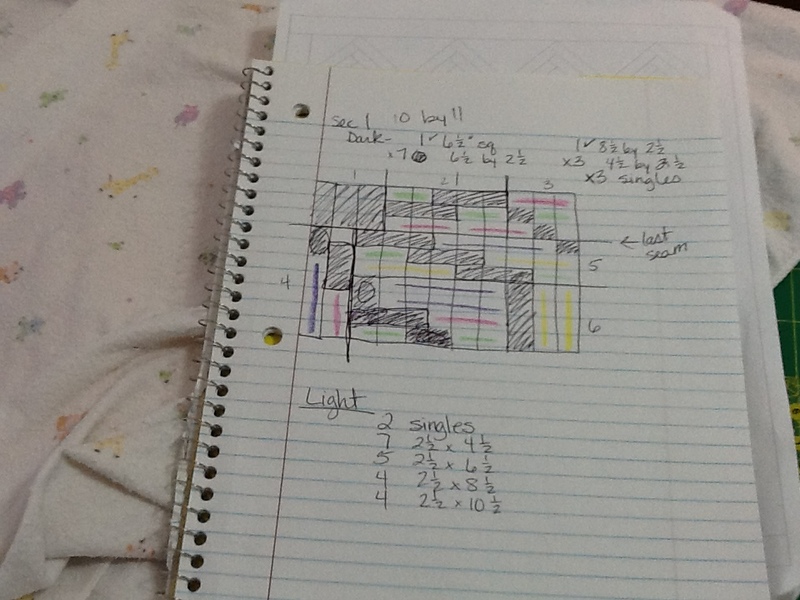 So, you can understand how a sketchbook is one of my essential quilting tools. 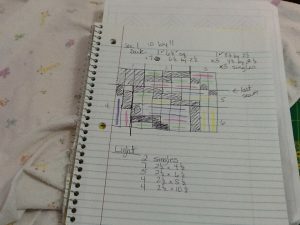 I keep a sketchbook near my machine because I am often drafting patterns and making notes as I work, or I get inspired and have to jot down ideas. The last item on my list of “Things I Keep Near My Sewing Machine” is my next project. 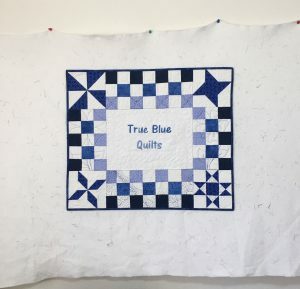 I always have several quilts in progress and blocks pile up. I try to stay organized with project bags but I am a pile person (just look at my computer desk and kitchen counters). So tell me, what 10 things are next to YOUR sewing machine? Inquiring minds want to know.